Country Mouse Tales: I'm Back, with HEAT! And Questions! We received oil! On Tuesday, and then our Internet service immediately crapped out. I have no idea what happened, but it was back when I checked today, so hey, that works for me! 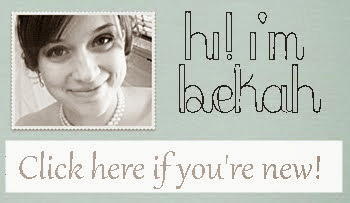 I will be catching up on your blogs yet again, so don't be surprised to see comments from me on old posts! So now that the internet is working, and we got the oil delivery kinks all worked out, guess what?! NO WATER PRESSURE! Yay! I'm honestly at the point where it is now funny, and I didn't really want to do the dishes anyway. NOW, down to business. I need your help once again. Tell me how you feel about yellow walls. Specifically in the bedroom. I have a love hate relationship with yellow. I can't wear yellow, I look ill. But then I see a picture like this and I think 'ooooooh' (yes, I am THAT simple). Our bedroom is much smaller than that specific beauty, and we don't have the jaw-dropping ceiling, but we DO have beams. White beams to be exact, which makes me think it might just work. ..yep, I duct taped it to the wall, I wanted to see how I liked it throughout the day you know? The colors on the picture are actually coming through a little brighter than they actually are in person. I originally wanted to go with 'yellow ribbon' (middle color) but now 'fairy lily' is growing on me (top color). I just would hate having to tell people I painted my bedroom 'fairy lily'. They might think I was that weird kid in class that did her book report on unicorns and fairy novels...oh wait, that was me. Never mind. 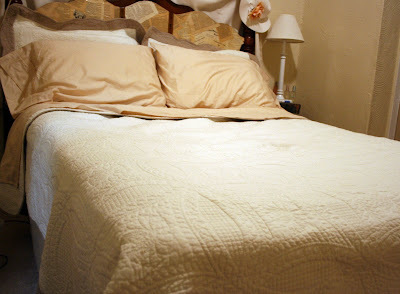 This is what our bedding looks like, and I think it will work for the look I am going for...I think. Maybe not the sheets, but when after we turned in the keys to our old apartment we realized that we had left our nice sheets in the dryer. So it was the peach-ish ones on sale at Wal-Mart, or the moose ones Matt had in college. Needless to say I opted for peach. So tell me, is the yellow a bad idea? Or will I wake up in my yellow room and just feel sunny? What do you think of the overall idea for the rooms? Matt, dear fella that he is, doesn't particularly care one way or another. As long as he has a pillow and a blanket he is happy, so any advice is MORE than welcome! I like the Fairy Lily, they're your walls who cares what others think of the name of the color right? And I love yellow walls! So pretty! But, I think it would help make your bedroom look bigger to put such a bright color in there! I like the fairy lily too! ooo so much good advice guys! thank you! Love the yellow, although I've found it to be a difficult colour to get just right. I think the top choice might be overwhelming, as you do want a bit of softness in a bedroom-I would pick the middle colour. I love yellow. I am with you too, not sure I would wear it,but on a wall very pretty. Be careful with the darker color. 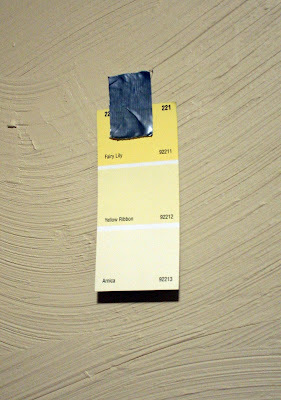 We painted a bathroom a darker/brighter yellow and it was ok- but kinda more than I wanted. If you go to glidden.com, there is an awesome tool to see colors in rooms. I used that tool to pick the two rooms I've painted so far. The colors worked well. Somehow seeing it in a room really helped. I love the first color! It's funny you posted this because our bedroom is going to be painted yellow, we just haven't decided on which yellow to use yet! The pics you found were so pretty! I want a room like that first one! I'm not a particular fan of yellow, however that first picture IS really nice. I like the yellow toned down with the iron, which I'm a huge fan of. I know I know, that's not your bedroom. But it looks nice, no? But if you say that the colors are more bright in the picture then I would go for the top color. And definitely accentuating it with the white beams. Cheerful! I really like the yellow, but I would lean more on the softer yellow than bright. I know it is hard to get colors to come out correct in a photo, but somewhere inbetween the top and middle is where I'd go....I know, I am difficult. Yellow is cheery. I like the middle shade the best. Good luck with your choice. Just try it! It's only paint--you could always get a small thing of it and do a trial wall. I love yellow. We did have it, but we changed the paint so often that we finally ended up with a chocolate brown.